Music is a unique way of communicating that can inspire and motivate children. It is a means for personal expression and can also play an important part in helping children to feel part of a community. At Perton First School, we provide opportunities for all children to create, play, perform and enjoy music, and to develop the skills to critically appreciate a wide variety of musical forms. We believe that music should also be seen as a method for the building of children’s self-esteem, confidence and self-discipline. To provide our children with a broad music curriculum, we use 'Charanga Music World' which is a highly rated music website that provides our children with fantastic resources within their music lesson. Children will be able to take their music learning home with their very own Charanga Music World account. 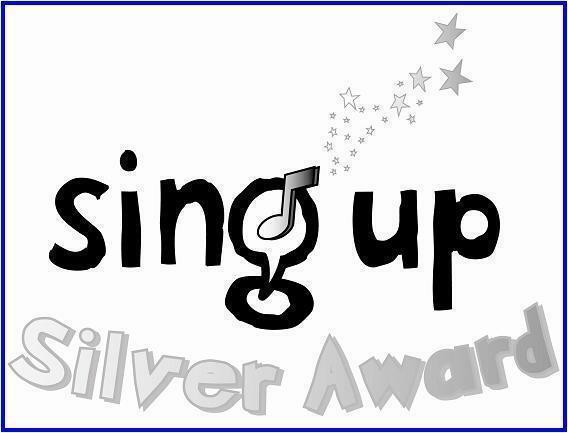 We are very pleased to have achieved the Sing Up Silver Award for all of the singing opportunities that we provide our children with!